The first time we saw the Sandhill Cranes, Frank and I felt like we were in heaven. Rounding a corner in a residential neighborhood in Kissimmee, Florida in 1996, we came upon a flock of these elegant, statuesque birds, almost five feet tall, their gray bodies capped with a bright red patch on their head. They were in the median dividing two lanes, leaping up and flapping their wings, displaying and calling to each other in a fascinating mating ritual. We watched in delight from the curb, and wrote rapturously about the experience in the next issue of our environmental newsletter. Thus began our love affair with Sandhill Cranes, and units of the National Wildlife Refuge System where they live in large numbers. 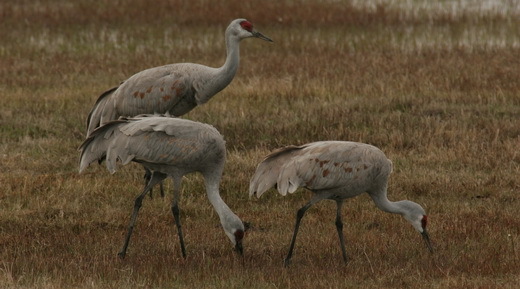 We're wildly anticipating fulfilling our dream this March and seeing the Great Sandhill Crane Migration in Nebraska. Greater Sandhill Cranes in the Malheur National Wildlife Refuge are almost five feet tall with a six-and-a-half foot wingspan and mate for life. So when I learned that one of our country's National Wildlife Refuges had been seized by armed militia challenging the federal government to reduce the amount of land it protects, I found the idea shocking and preposterous on multiple levels. It strikes me as a dangerous escalation in a movement that seeks to seize and sell off our publicly owned lands. First, the 630-plus million acres of land that we have in protection belong to the entire American population - not to any one segment or interest group. The wildlife refuges in particular are set aside for the propagation of wildlife species. The Malheur National Wildlife Refuge where the siege is underway was established after a wide-scale slaughter of birds in the region was brought to the attention of President Theodore Roosevelt. The President used his executive authority to set aside the area "as a preserve and breeding ground for native birds." Takeover by an armed militia is definitely inconsistent with that purpose. Secondly, this insurrection disrupts the rhythm of life for the animals in the preserve, and deprives the workforce and visitors of the right to use the facilities that all Americans collectively pay for with our tax dollars. But in a stark demonstration of contrasting values, while this faction of extremist 'ranchers' flout our laws and demand that the federal government reduce the land set aside for public use, the original inhabitants of the American landscape are petitioning President Obama to protect MORE land for the benefit of this and future generations. 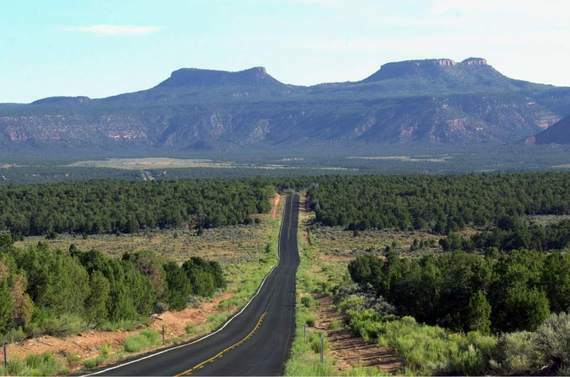 A view of the Bears Ears region in Southeastern Utah that the Coalition is seeking to protect as a National Monument. Salt Lake Tribune photo. Members of the Hopi, Navajo, Utes, Ute Mountain Utes and Zuni and others in the Bears Ears Intertribal Coalition are calling on President Obama to use his executive authority to protect their sacred lands in the Bears Ears, Utah, as a national monument. The area includes the ancestral homelands of their forebears going back many millennia, and monument status would protect these lands from continued destruction and save the archeological and cultural records they contain for this and future generations. I can't help chuckling at what it means when extremist 'ranchers' who are relative newcomers to the land want less of it to be saved for the American public, but the Natives to whom all the land originally belonged want more to be protected for posterity. I expected 2016 to be The Year of Public Lands as it marks the much-anticipated Centennial Celebrations of the National Park Service. I felt our forests and national wildlife refuges would get a much needed boost of national attention from the overflow of media attention. I was confident things were on track when the National Parks headlined the Rose Parade in Pasadena New Year's Day, and the venerated CBS Sunday Morning Show January 3 closed with a salute to the Centennial, its Moment of Nature featuring Yellowstone National Park. 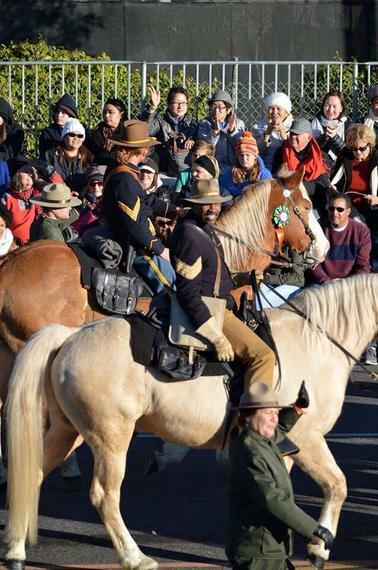 "Buffalo Soldier" Ranger Shelton Johnson astride his horse in the Rose Parade New Years Day that featured the National Parks. How could I have known that our wildlife refuges would be topping the national news because of a siege? I am trusting that law enforcement will safely and speedily restore the rule of law and bring those responsible to justice. For the integrity of our protected lands system and the web of life represented by the Sandhill Cranes and other wild creatures in our national parks, refuges and forests, we the people need to step up. Let the media and our elected officials know that we value our protected lands and we want more, not less of our nation's resources to be conserved for our future.